Good Afternoon to you all. I hope you are all well on this lovely afternoon. 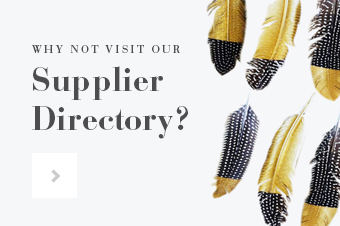 The new blog design is nearly here and I have had a few peeks from Kelly H and I have to say, it’s looking really great! 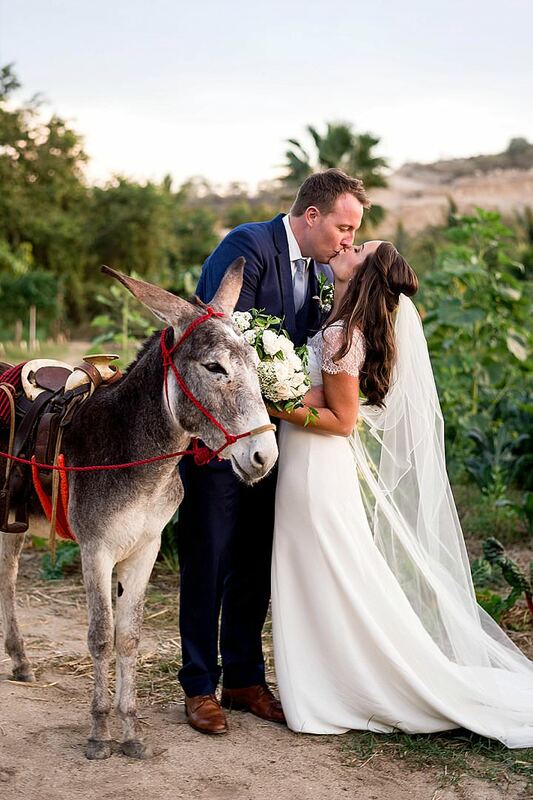 The launch will be on Tuesday evening and I hope you will be tuning in to see the all new Boho Weddings Blog. 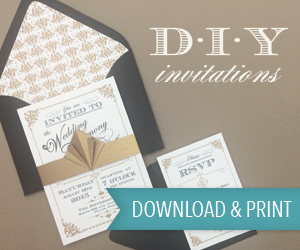 Today we are back with a fabulous DIY tutorial. 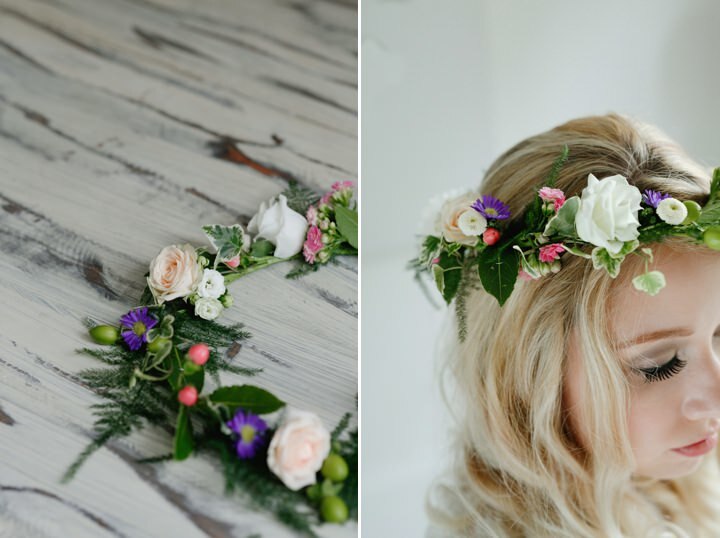 Flower Crowns are SO popular at the moment, they are perfect for a Boho wedding and can really top off any wedding dress or bridesmaid dress. 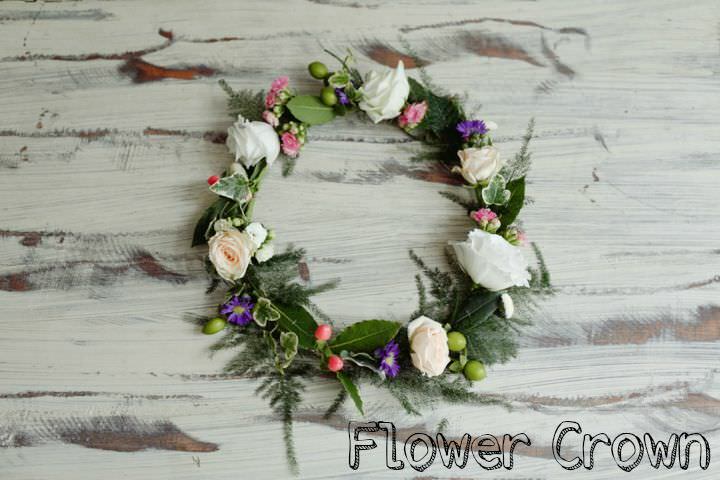 I’m delighted to bring you this super cute and super easy to make flower crown tutorial, I just know you are going to love it! 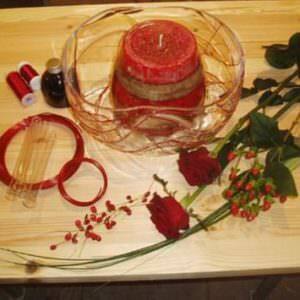 STEP 1) To make the base of your crown, tape two pre-cut lengths of florist wire together with florist tape. 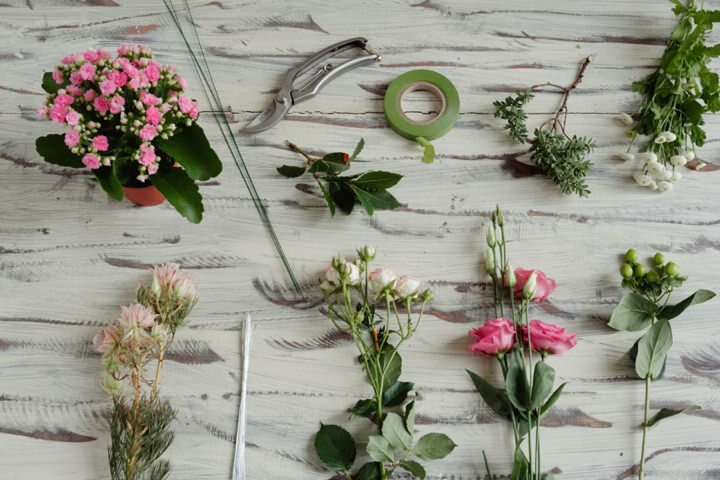 Cover the wire by wrapping a length of florist tape around it. 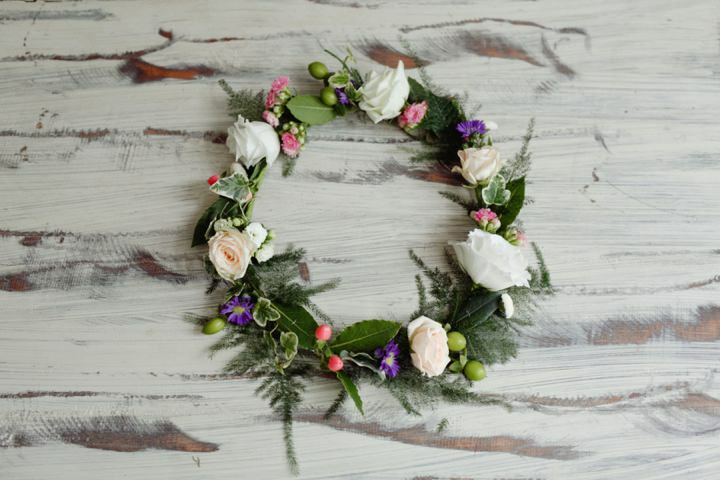 TOP TIP: To get the perfect fit, measure around your head with a length of yarn and cut your florist wire to size. STEP 2) Bend the wire into a circle, and twist the ends together to secure. 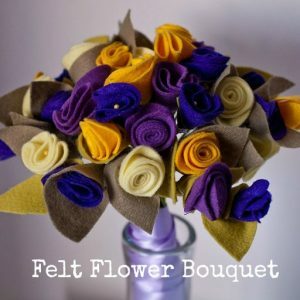 For extra strength, wrap a small piece of florists tape around the join. 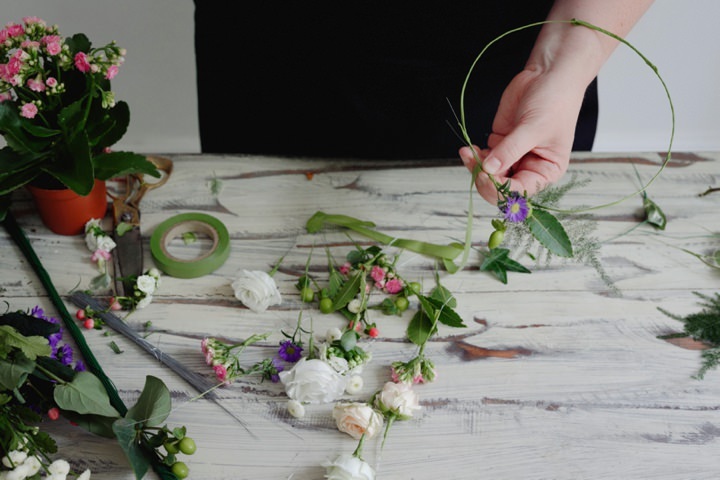 STEP 3) Using a pair of sharp scissors, cut the stems of the flowers and foliage to approximately 2 inches long. 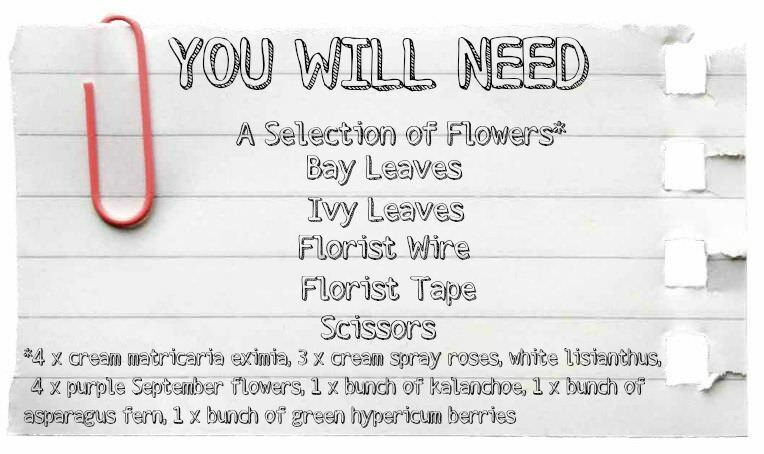 Mount several ivy and bay leaves onto wire by stitching a length of thin florists’ wire through the leaves. Fold the wire in half, and wrap one length around the stem to secure. 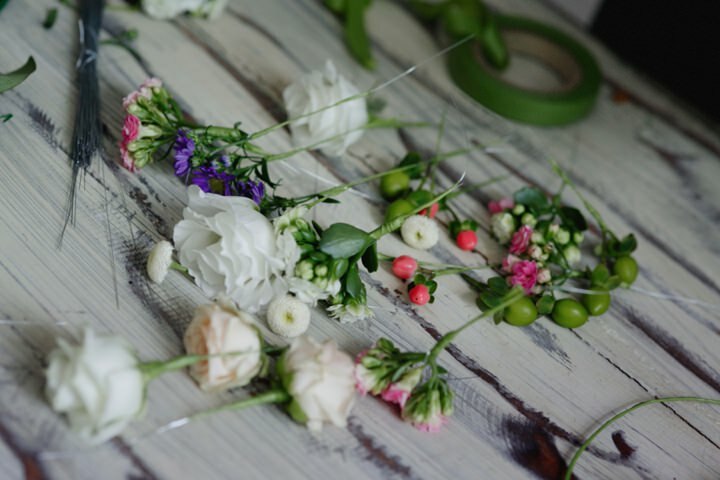 STEP 4) To mount the flowers onto florist wire, fold a length of wire in half and hold against the flowers’ stem. Wrap one end of the wire around the stem, in the same way as wrapping wire around the ivy leaves. 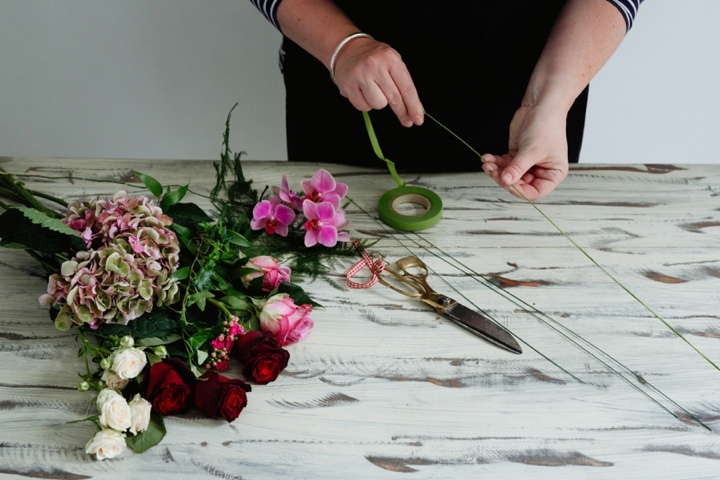 TOP TIP: Wrap a length of florist tape around the stem and wire to create a cleaner finish. 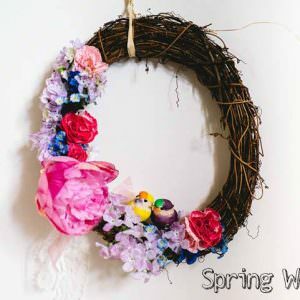 Step 6) Repeat until all flower heads and foliage are mounted on florist wire. 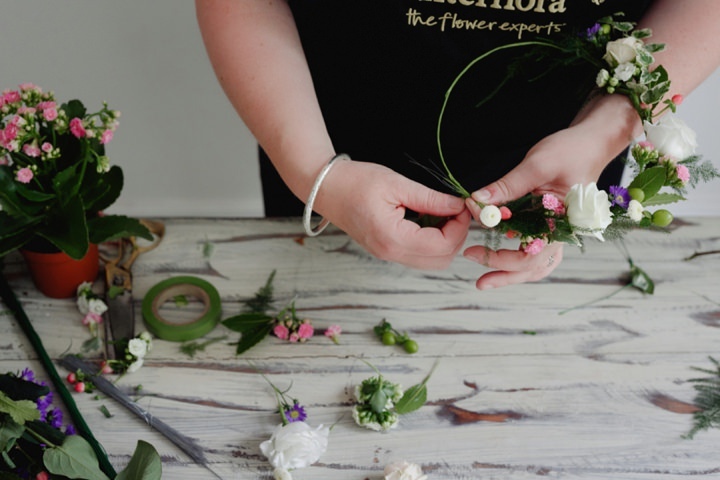 STEP 7) Begin to arrange the wired flowers in clusters to the crown, making sure to alternate the colours and different flower sizes as you work along the length. 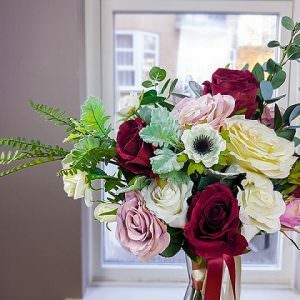 TOP TIP: Start the crown with a length of asparagus fern clustered with bay leaves, hypericum berries and a September flower for a pop of colour. 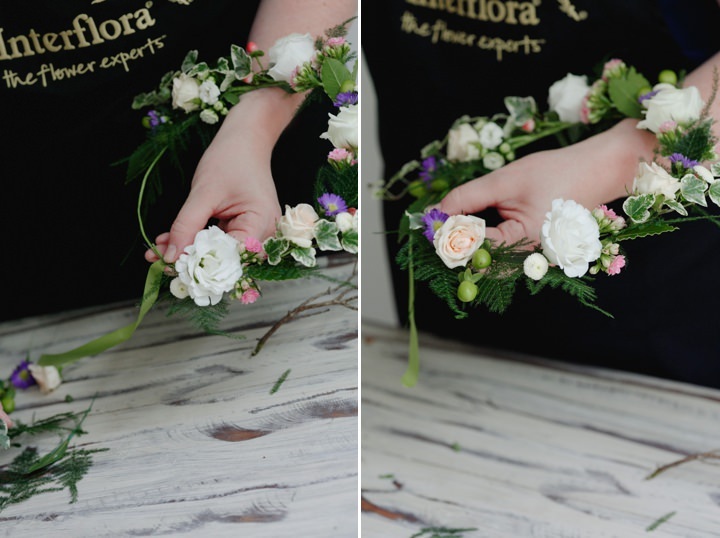 STEP 8) To attach the flowers to the crown, wrap a long length of florist tape around each stem, building up layers of foliage and flowers as you work around the crown. 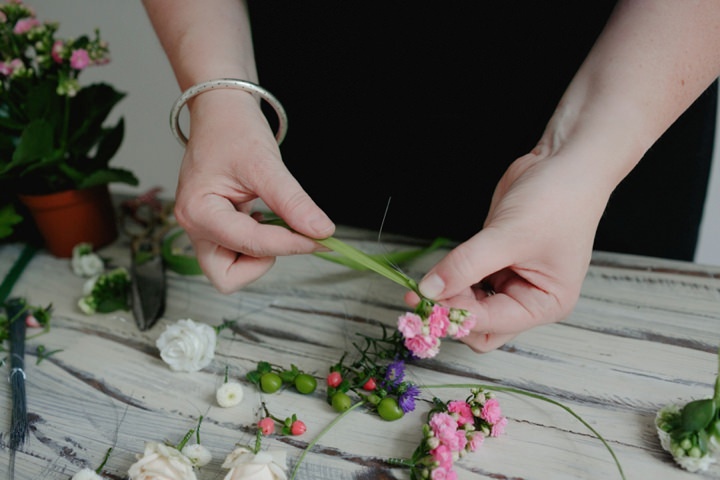 TOP TIP: Trim any excess wires and stems as you work around the crown to keep it neat and comfortable to wear! 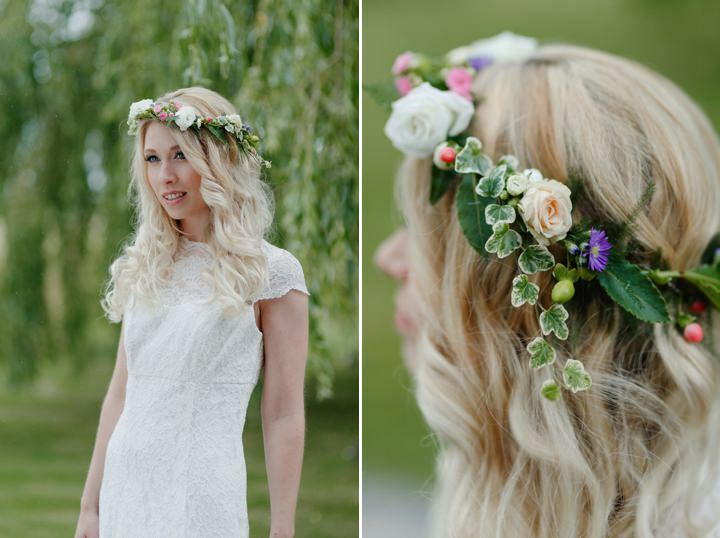 Flower crowns make such unique head pieces, especially as each one can be created to suit the individual. Thanks for sharing the tutorial. This flower crown looks so beautiful with red roses in it.